The Peak Glass Water Filter is just what you need when you've lost or broken the original glass bubbler for your Puffco Peak Vaporizer. Puffco designed it with a simplistic styling and internal blasted cone that gives it the sleek aesthetics to match the Peak's powerful performance. It is engineered with a percolating water filtration system that delivers an ultra smooth hit every time that never disappoints. 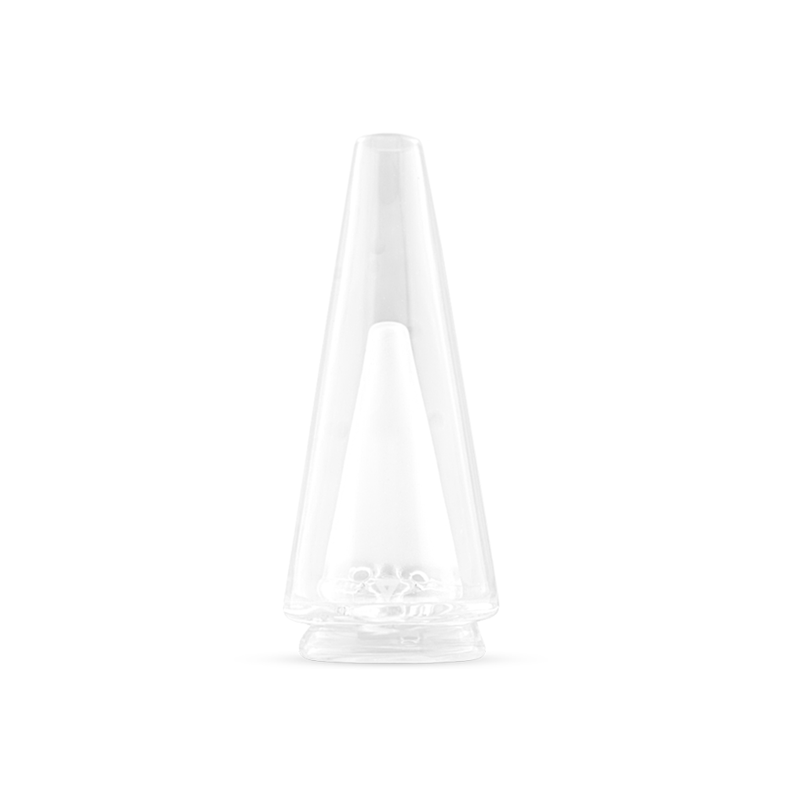 It's an authentic replacement part made from an extremely durable and long-lasting borosilicate glass. It sports a locking snap in connection that makes setting up or disassembling for storage quick and easy. Pick one up and quickly get back to enjoying your favorite concentrates with the smoothest vapor quality around.